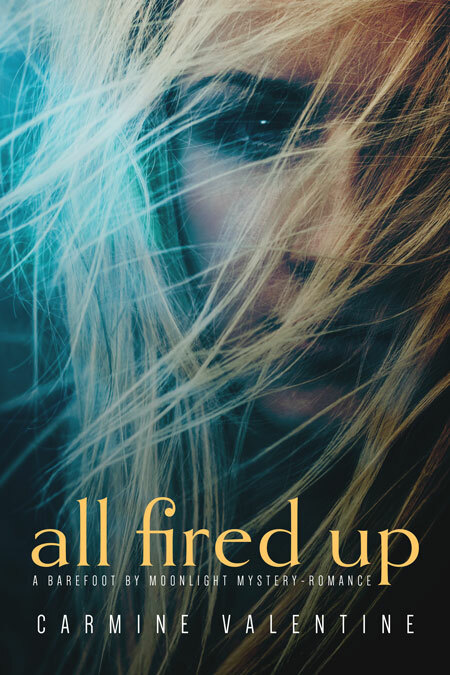 Beetiful designed the book cover for All Fired Up by Carmine Valentine. 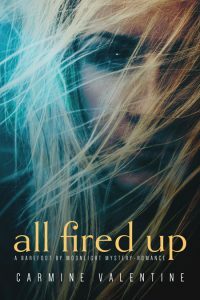 All Fired Up is a romantic mystery book and is the first story in the Barefoot By Moonlight series. When Marianne Dunaway returns to her hometown on Orcas Island and buys an old mansion, little does she realize that she’s triggered old resentment against the Dunaway name and stirred awake island folklore of stolen jewels. An intruder in the dead of night, and a threatening note at her gate, accusing her of having traitor in her blood, make it clear that someone isn’t joking around. With an ailing grandfather, and a sister who is hiding something from her, she’s getting nowhere in finding answers close to home. Until the handsome stranger she’d met earlier shows up at her door. Jack Sanders is trained in hunting bad guys, and he has an offer. He’ll track down the person behind the threats in exchange for room and board. But when she discovers that Jack has a connection to her grandfather’s past, and that the stolen jewels do exist, she begins to question his true purpose for being on the island. Something she should have done before she kissed the man staying under her roof. Sometimes a woman just needs to deal with the consequences another day when the threat that could take it all away is closing in. 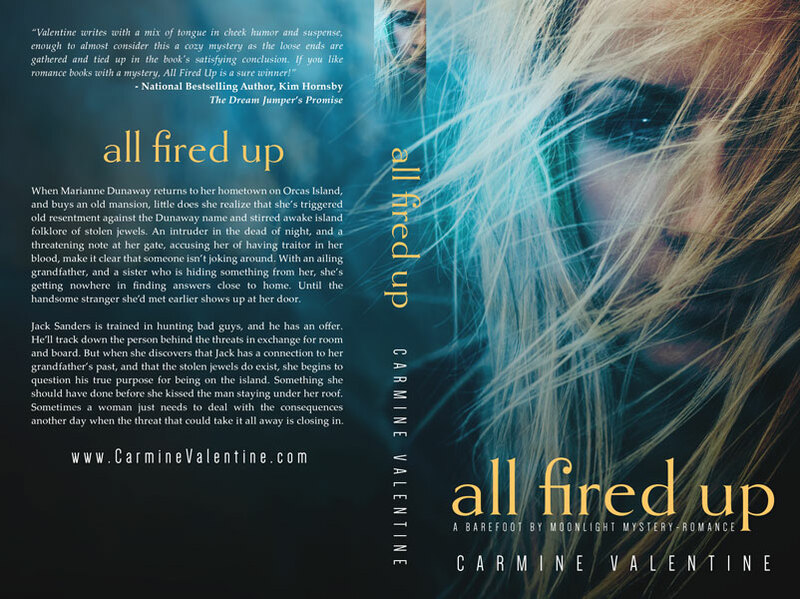 Get All Fired Up by Carmine Valentine today!